As a rule of thumb in Singapore, a long queue is a sign of good food. 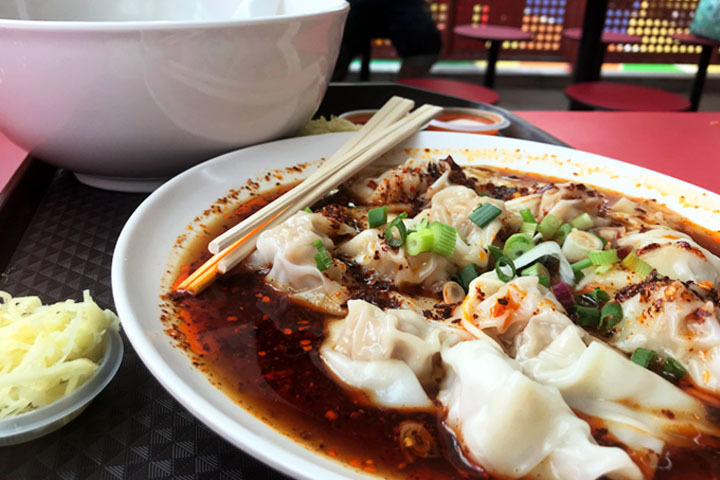 However some of the most outstanding food in Singapore is hidden amongst the thousands of food stalls at various hawker centres. So I couldn’t believe my luck to have stumbled across this little gem. Zhong Guo La Mian Xia Bao always has a queue but the food is amazing and the prices are very cheap. Zhong Guo La Mian Xia Bao is celebrating its 10th year anniversary this year. It was originally setup in 2008 by Mr Li Feng Cai and his wife, who had migrated to Singapore a few years earlier from the Anhui province of China. 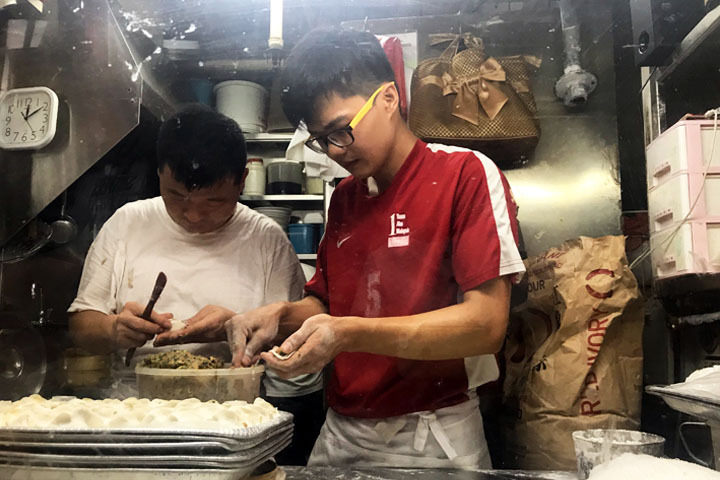 Mr Li has been cooking since he was 16 years old and he learned the art of perfecting xiao long bao and hand-pulled noodles in his native China. Today the whole family is involved in running this food stall located on level two of the China Town Food Complex. On weekends Mr Li’s children roll up their sleeves and help in the kitchen. The eldest son helps to cut and roll the dumpling dough whilst the younger son works the steamer. And mum is always busy doing everything, from taking the orders to dishing up bowls of noodle soup. 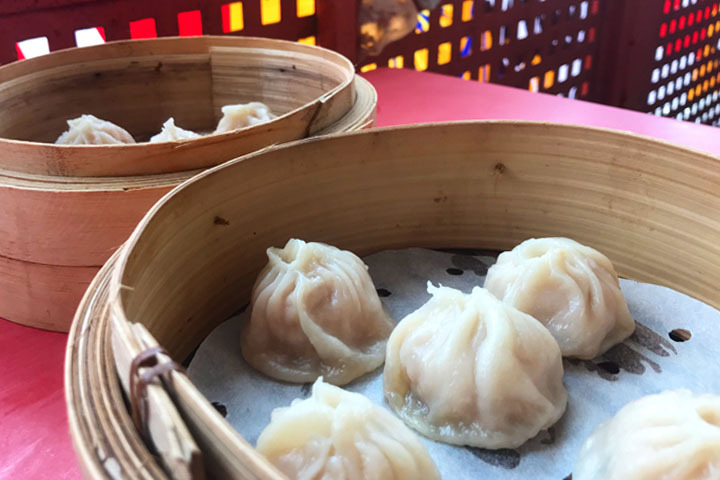 The signature dish is the xiao long bao, which are soup dumplings. A steamer of 10 dumplings costs $6 only. Mr Li claims his secret to creating their famous rich flavour involves brewing the stock for at least 12 hours. You have to be careful ordering the xiao long bao here because this dish is best served hot. So if you are ordering a variety of dishes at the complex, do not wait for all your food to arrive before digging in. Eat this as soon as they are ready. 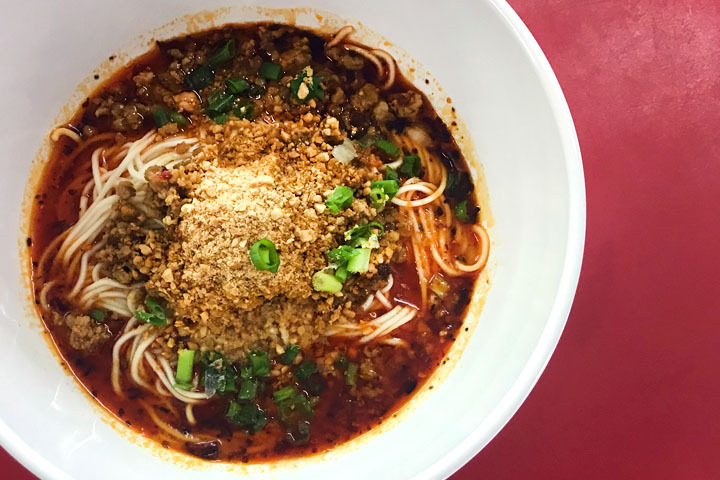 There are several options for la mian, which are hand-pulled dough noodles. I cannot tell if their la mian are handmade but they look too perfect to be made on site. My favourite noodle dish are the dumpling noodle. It is served with a clear broth and a generous number of steamed pork dumplings. You can also order the steamed dumplings as a dish on its own. They are prepared in the Northern Chinese style, with pork, leek and a thicker dough casing. The beef noodle offers a slight variation. 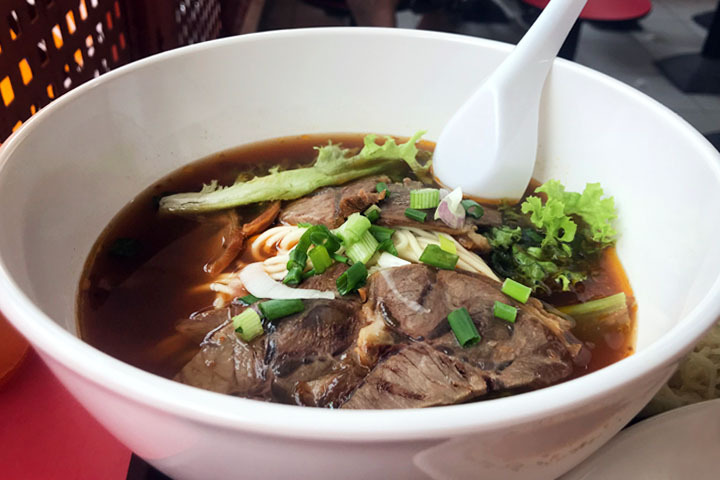 It comes with a heartier broth as well as la mian and generous slices of roasted beef. I have also tried the Szechuan spicy noodle, which is less to my liking. These are served dry with plenty of peanut, pork mince and chilli. Whilst these are a popular dish, I find the thick sauce very filling. However my favourite dish are the Szechuan spicy wontons. These are to die for. 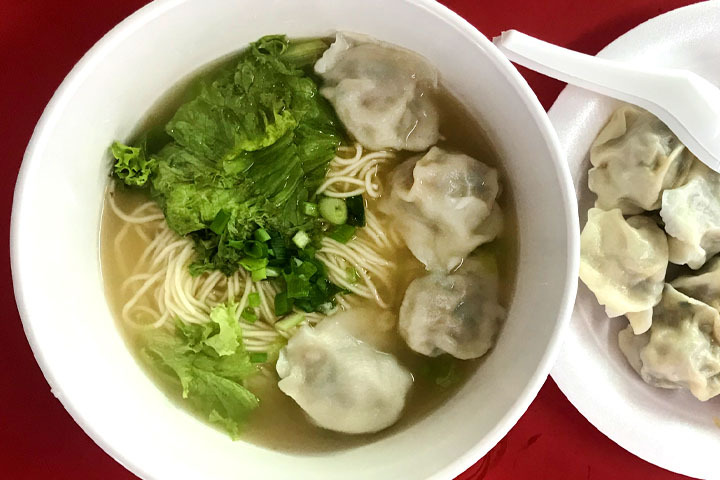 The wonton casing is light and the dumplings taste soft in your mouth. I love to eat these with a soup spoon so I can scoop as much of the spicy sauce into my mouth as possible for a tongue numbing kick. Zhong Guo La Mian Xia Bao gives Din Tai Fung a run for its money. The food is incredibly tasty and made fresh in front of your eyes. The prices are also crazy cheap. No wonder people are prepared to queue for it! If you visit here on a weekend, make sure you go early as the xiao long bao gets sold out quickly. I would love me some dumplings! They look so appetizing. Just like you I also love spicy food so when you say those are to die for, I probably would love them too. I noticed stalls in Singapore are family run and that long lines really do indicate food worth trying. Thanks for sharing this, will definitely try this one out if ever I’m in the area.